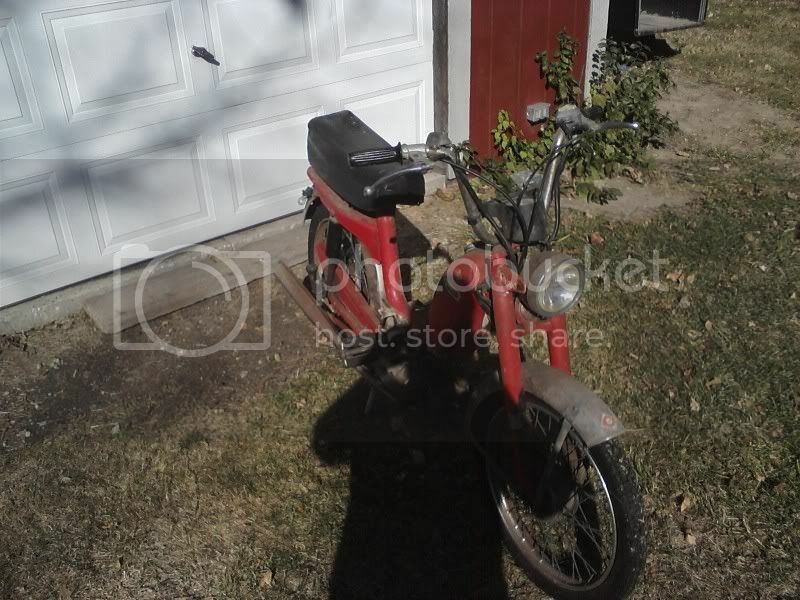 i have a 1977 Twin Sport Cimatti/Minnereli Moped. i purchased it in 1997 with a clean and clear illinois title. i got it because i was tired of riding my bicycle i used it. i got caught by the cops about 10 times before my parrents made me put it in the barn "till i was 16" and there it sat. i have never titled it. when i was 16 i started it up one day rode it over to a friends house and then hung out... went to leave and i tried to start it and NOTHING... never fired up again. it just rot.... so i have the itch to get it RESTORED!!!! i dont know what i did... Well i do. i cleaned the points. i pulled the fly wheel off and cleaned the points. jimmyed up the electrics and BOOM!!! Now i have torn it down to pieces so i can strip them and restore it. it was originally white (before i got it.) and there is LOTS of surface rust from being in a barn for for years. Well piece by piece it will restored and put back on the road. i will post pictures as i go. there only fun till your friend catch you on one. Italian and IMPORTED!!! with a clean title. and it is not a scooter. 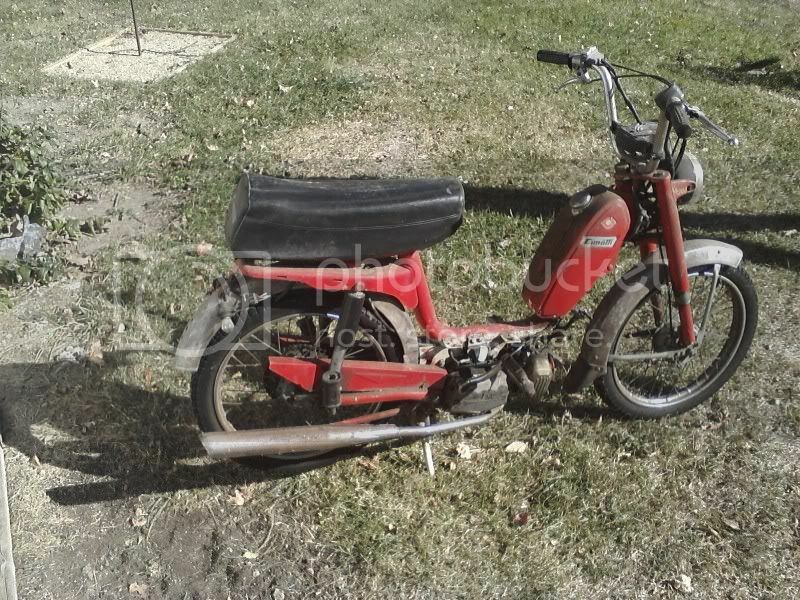 ITS A MOPED. way different. it is like.... well it is like a scooter but it has pedals... so it is differnent!